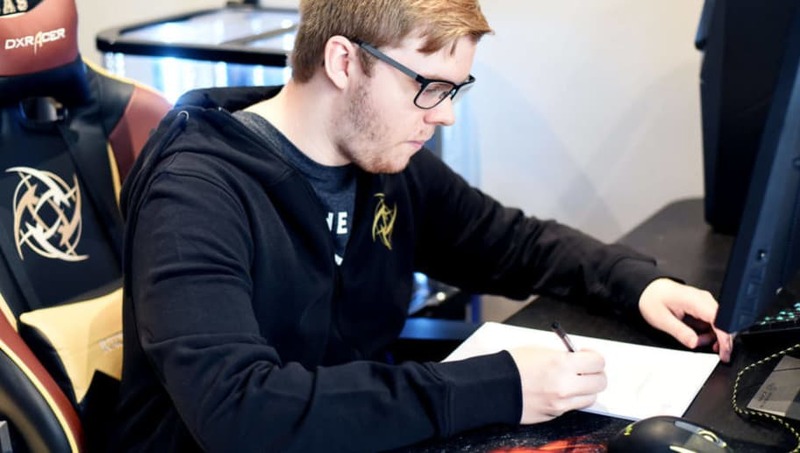 ​Jonas “Lekr0” Olofsson joined the Ninjas in Pyjamas starting Counter-Strike: Global Offensive lineup and will replace William “draken” Sundin, who will be moved to a substitute position. Today is a big day for the Ninjas as we announce the addition of the Swedish star-player Jonas @Lekr0cs Olofsson to our starting roster in Counter-Strike. Olofsson will be replacing one of our youngest players, William @drakenCSGO Sundin. Lekr0 had a good start to the year with his former roster, Fnatic. The team finished 5-8th place at the ELEAGUE Boston Major and followed up the performance with wins at IEM Katowice and WESG 2017. Lekr0 was then replaced on Fnatic by Richard "Xizt" Landstrom following a string of recent disappointing finishes. "It has been something I have been wanting to do at some point in my career," Lekr0 wrote in a news release. "I’ve been thinking a lot about my future and what kind of player and teammate I want to be, so I’m really excited to be able to learn from the legends and to show a new self with great motivation in a large team like this." The new roster will make its first appearance at the CS:GO Asia Championship in Shanghai, China, next week.